Peasant Child Begging, Photo by Dmitry Baltermants - 1920. A hooded witness testifies in court on narcotic traffic in Washington State. 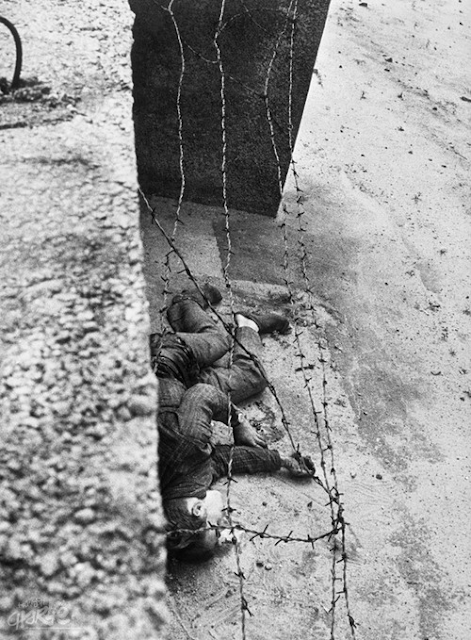 April 30, 1952. 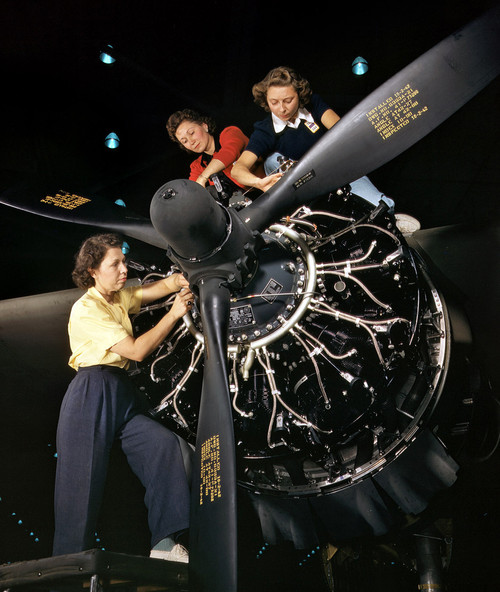 Engine installers at Douglas Aircraft Factory, Long Beach, California - October 1942. 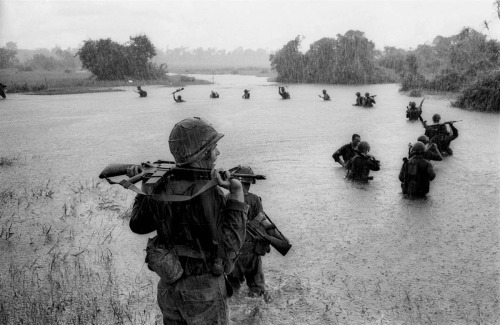 American paratroopers wade across a river near Ben Cat in South Vietnam during the monsoon season,1965. 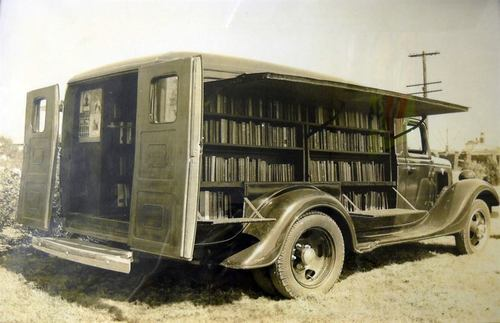 The Original Bookmobile - The mobile library on wheels of yesteryear, Circa, 1930s. 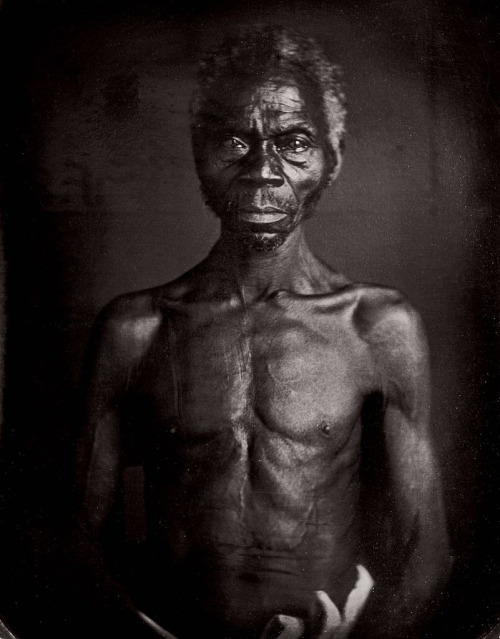 "Renty”, a slave on plantation of B.F. Taylor, Columbia, S.C., Photo by JT Zealy, 1850. "Abandoned baby sleeping in desk drawer at Los Angeles Police station", 1971. 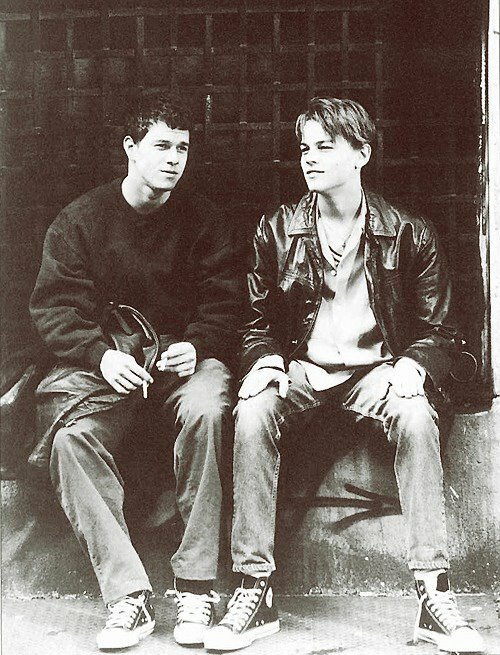 Mark Wahlberg and Leonardo DiCaprio, 1995. 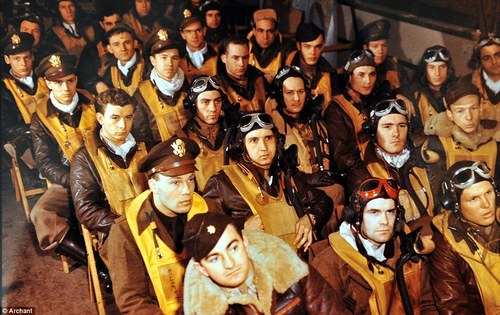 American WW2 pilots are briefed before their mission. Southern England, Colorized Photo, 1943. 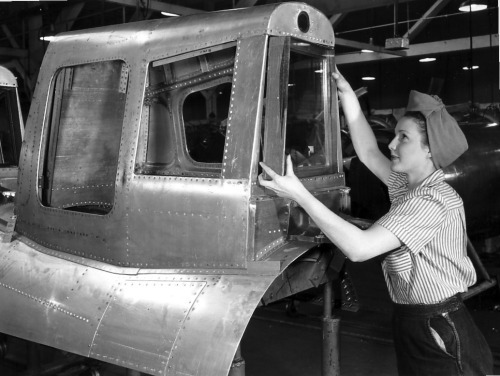 Installing the bullet resistant glass protecting the tail gunner of the B-29 at Boeing’s Hoquiam, Washington facility 1944. 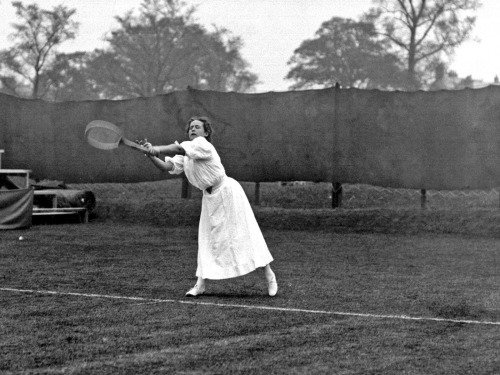 May Sutton Bundy, the first US player to win the Wimbledon ladies’ singles title, pictured in action in 1907. The body of Peter Fechter lying next to the Berlin Wall after being shot while trying to escape to the West, August 1962. 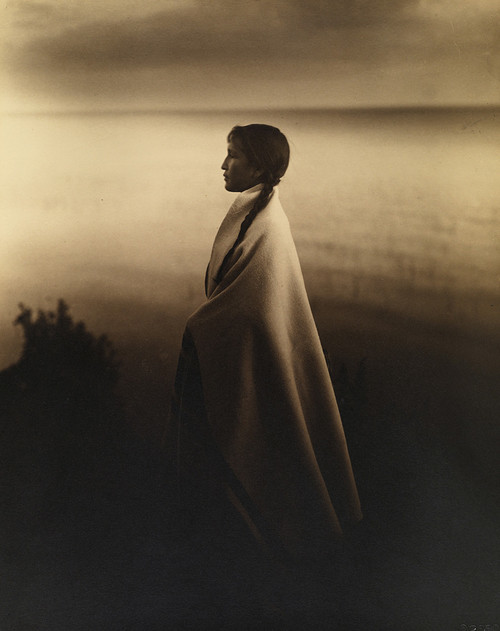 Portrait of an Ojibway/Chippewa Indian girl in 1907. 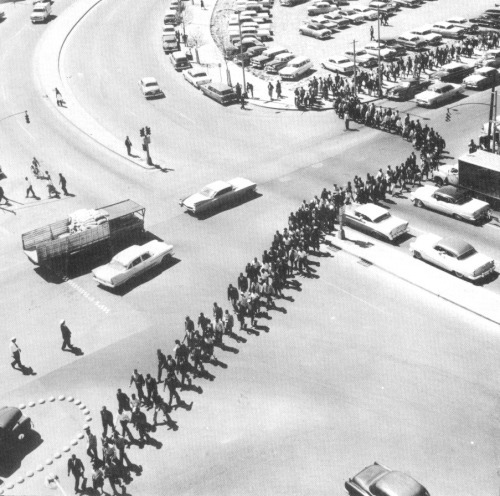 Demonstrators obstruct traffic during the 1960 Nashville lunch counter protests. 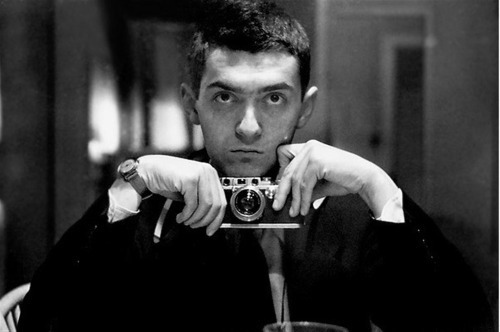 21-year-old Stanley Kubrick takes a selfie - 1949. 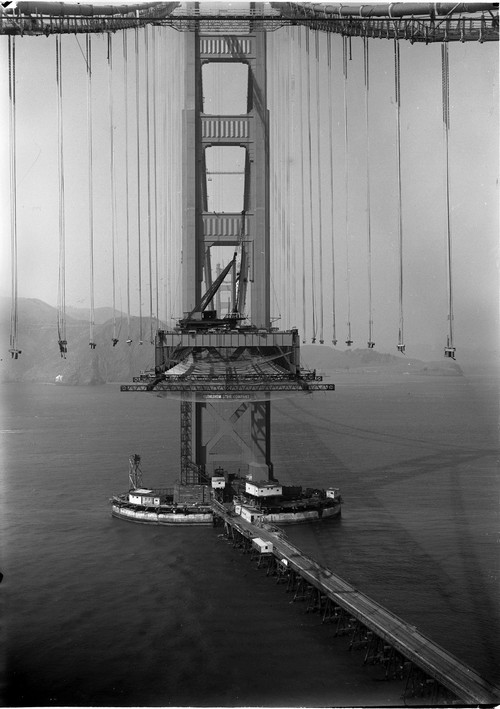 The Golden Gate Bridge during construction in 1935. 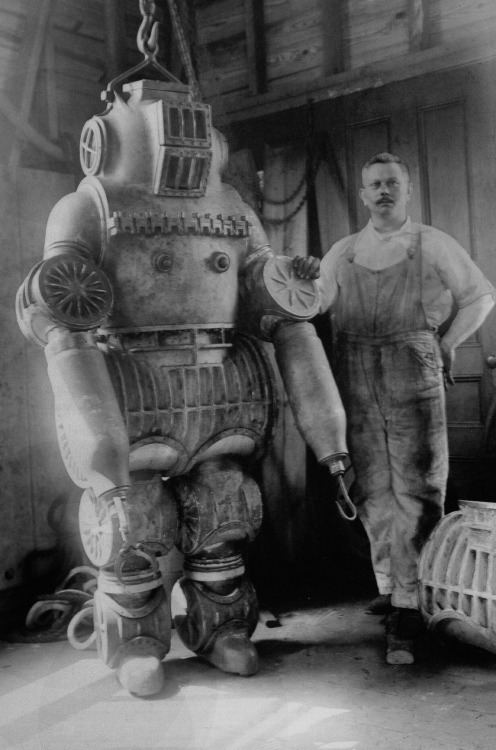 Chester MacDuffee constructed the first underwater diving suit with ball bearings, as the medium to provide movement to a joint. The suit was successfully tested in New York in 214 feet of water, 1914. 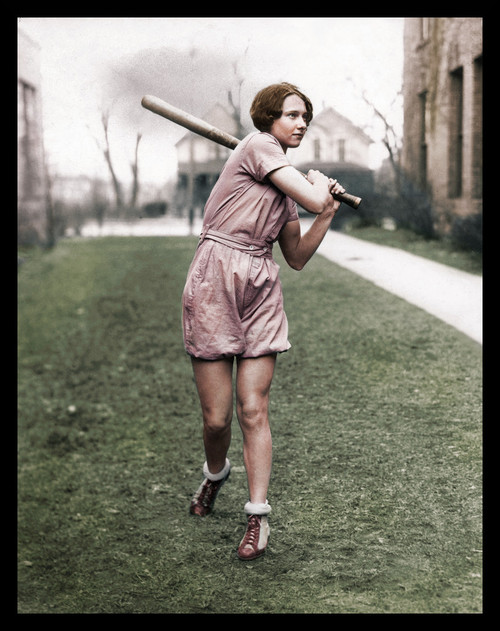 Betty Robinson, American athlete and two time gold medal Olympian in the 100 meters, playing baseball, March, 1930 - Colorized Photo. 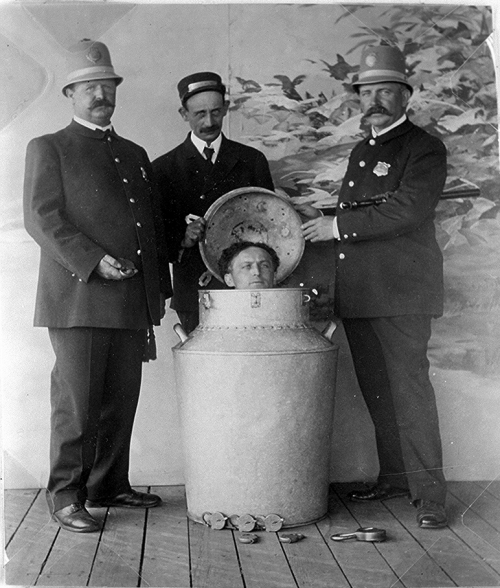 Harry Houdini performs the great milk can escape, Circa - 1908. 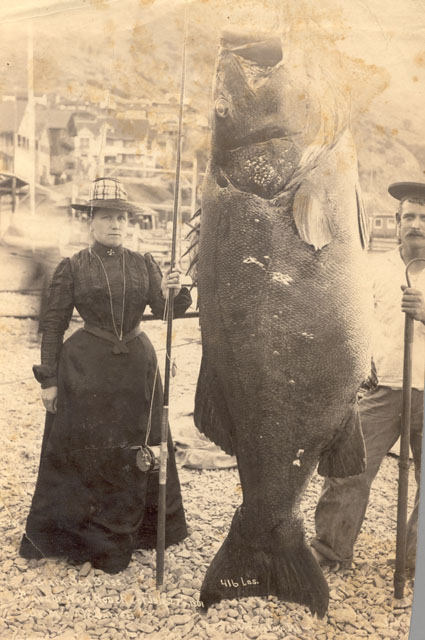 A 416 pound giant black sea bass caught with rod and reel by Mrs. A.W. 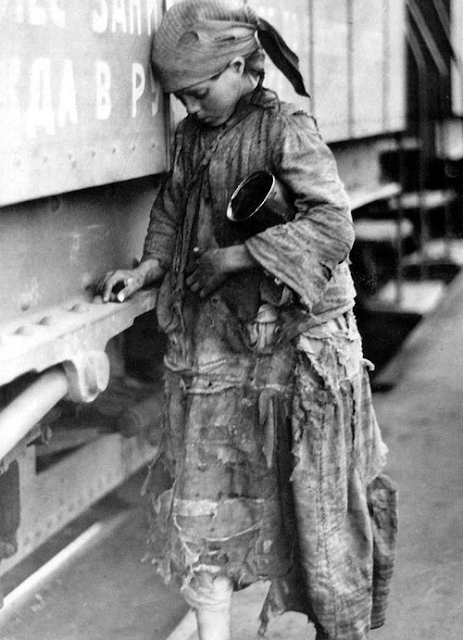 Barrett, 1901. 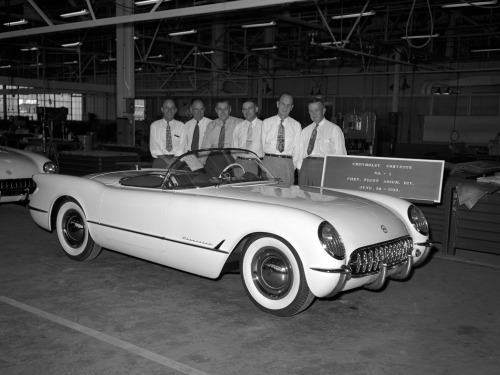 First Corvette rolls off the assembly line, June 30th 1953. 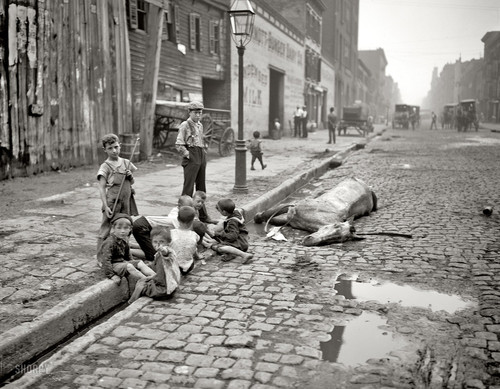 Children play in the street by a dead horse, New York City - 1895. 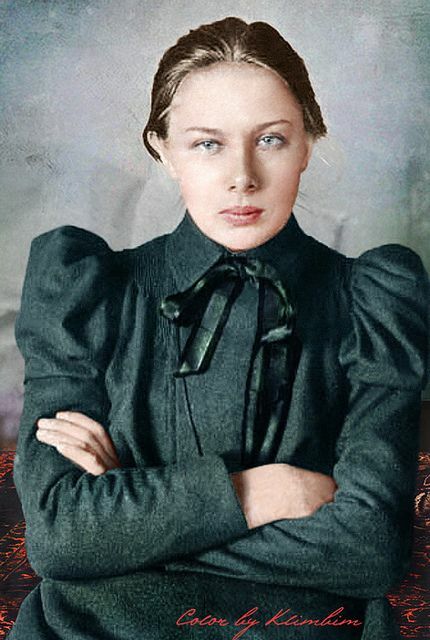 Nadezhda Krupskaya, the wife of Russian revolutionary,Vladimir Lenin - Circa, 1890s. 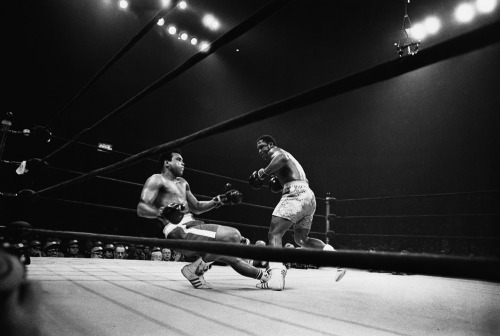 Joe Frazier knocks Muhammad Ali down in the 11th round of the “Fight of the Century” March 8, 1971. 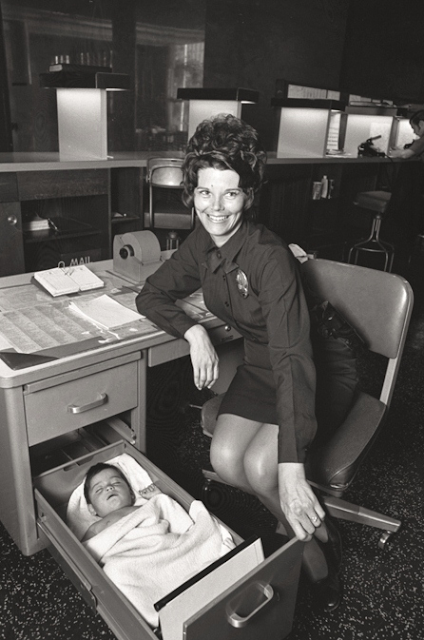 Two women are placed under arrest for wearing swimsuits considered inappropriate in public - Chicago 1922. 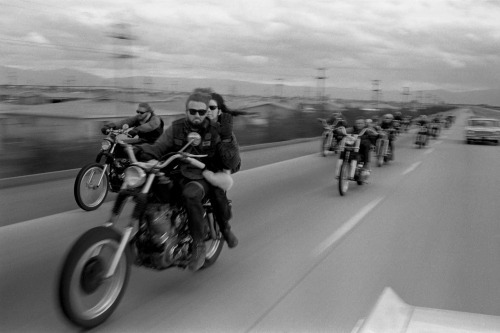 Hells Angels cruise north from San Bernardino to Bakersfield, California - Photo Bill Ray 1965. 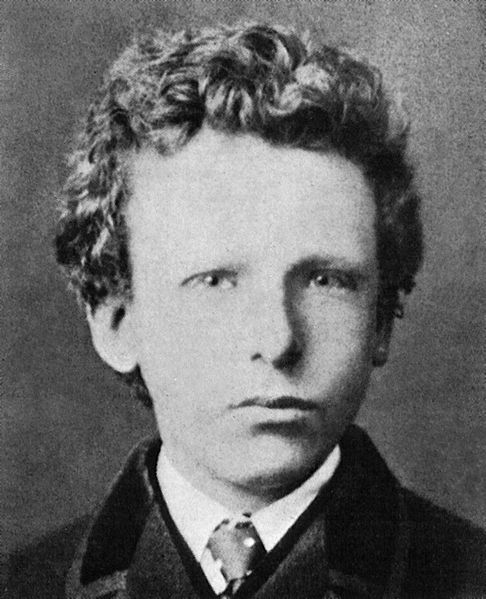 A young Vincent van Gogh, 1866. 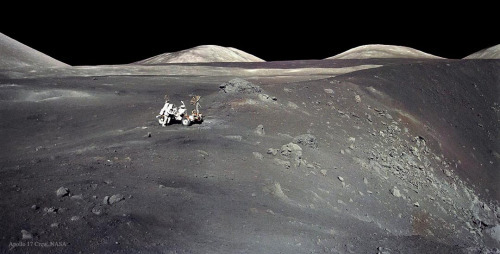 The Apollo 17 crew collects samples at Shorty Crater on its 12-day mission between December 7th and December 19th, 1972. 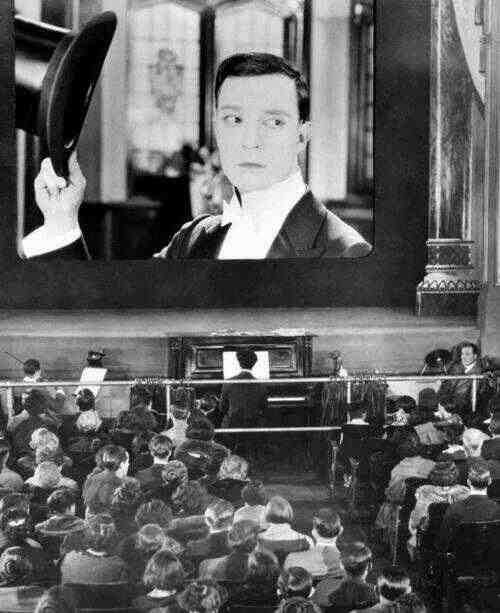 A movie theater in 1921 – The only sound comes from the piano player under the screen. 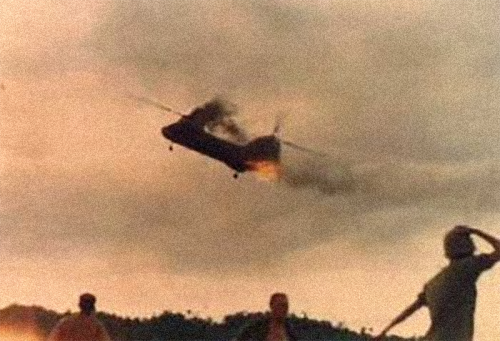 Hit by Viet Cong air defenses, a CH-46 trails smoke and fire before crashing and exploding in “Helicopter Valley” — the fifth CH-46 lost in the valley that day - July 15, 1966. 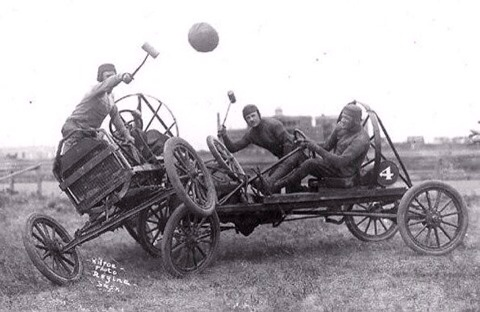 Playing Auto Polo, Circa 1900. 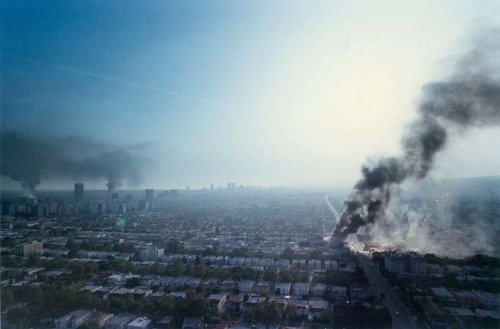 The skyline of Los Angeles showing plumes of smoke from the numerous building fires in the cityduring the Rodney King Riots, April 30, 1992. 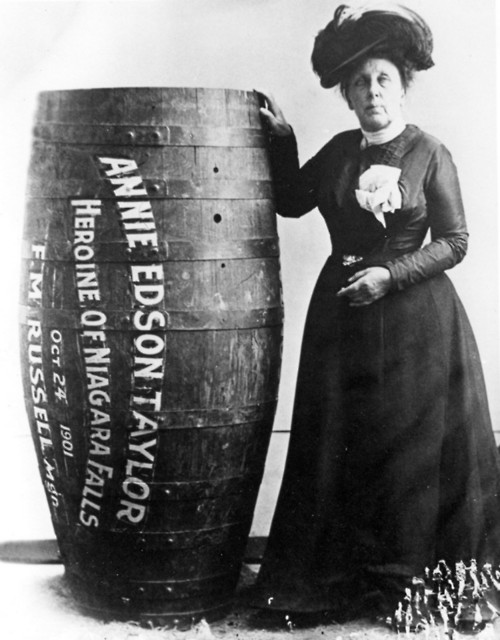 Annie Edson Taylor: the first person to survive going over the Niagara Falls in a barrel; she did it on her 63rd birthday in 1901. 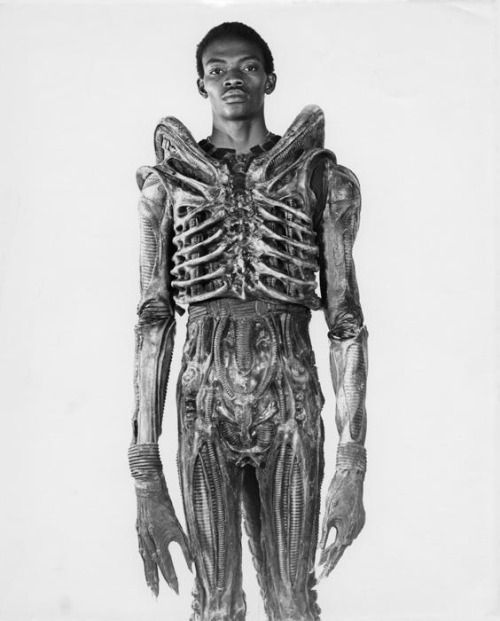 Seven foot tall Bolaji Badejo, a Nigerian design student and one-time actor, wearing his costume from the now classic sci-fi thriller, Alien - 1978. 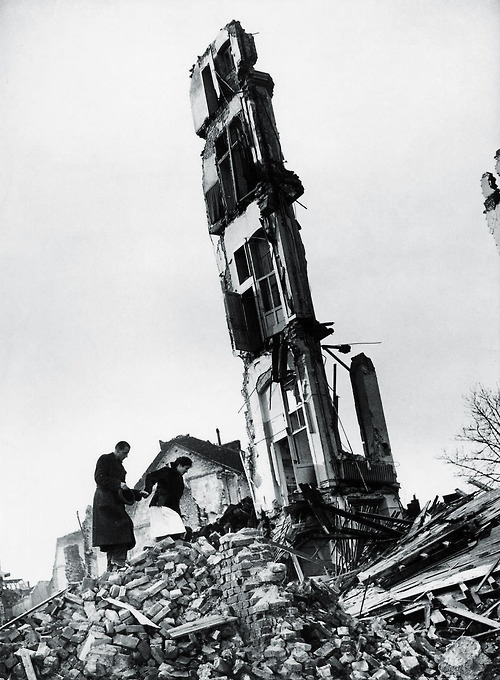 A German couple goes back to the ruins of their house following the end of World War II, Koln, Germany - 1945. 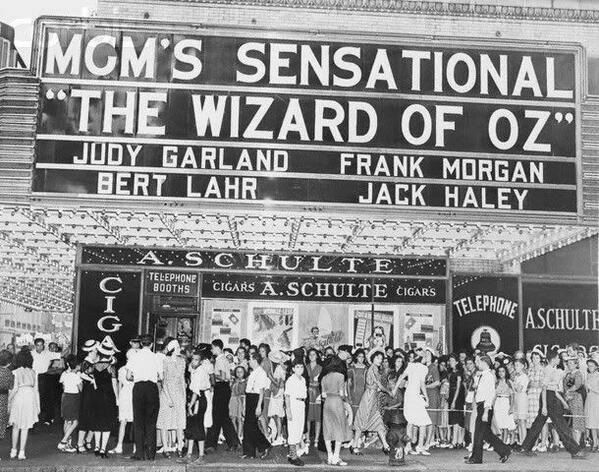 Premier of the Wizard of Oz in New York City - August, 1939. 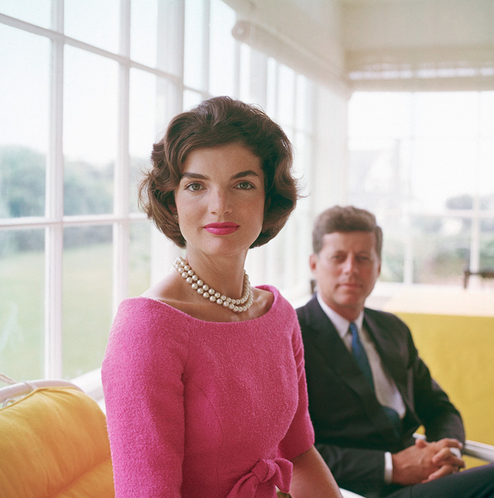 Jackie and John Kennedy, 1963. 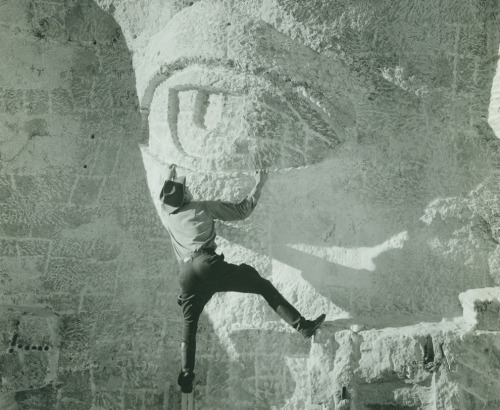 A stonemason carving eye on Mount Rushmore - Circa, 1930s. 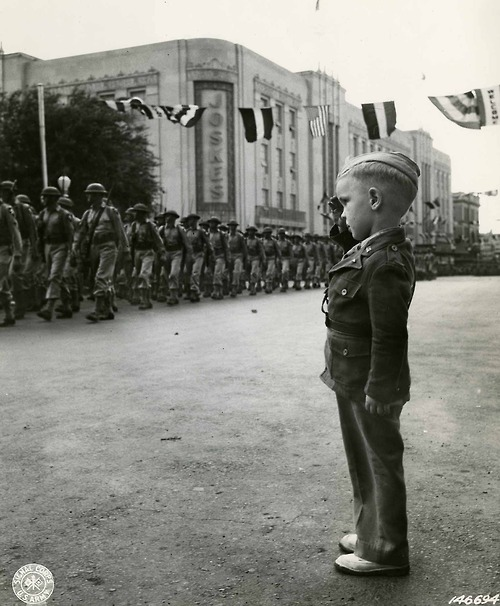 A boy named William L. Sherman, Jr., saluting troops from a parade in honor of the World War II Heroes at Fort Sam Houston, Texas - July 1, 1942. 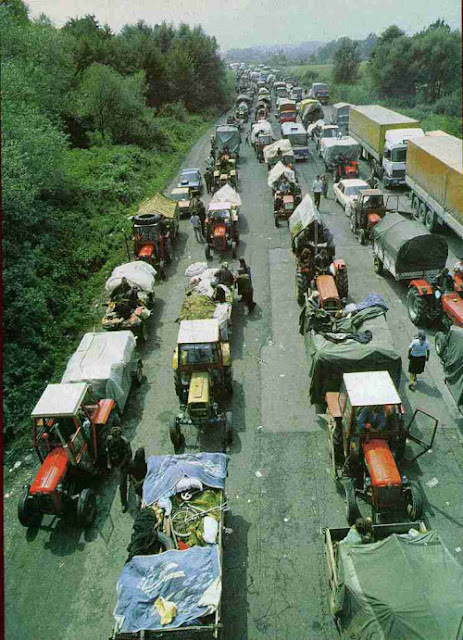 “The Serbian Trail of Tears:” Ethnic Serb Civilians Fleeing Croatia using farm tractors and wagons to haul their belongings, after Operation Storm in August, 1995. 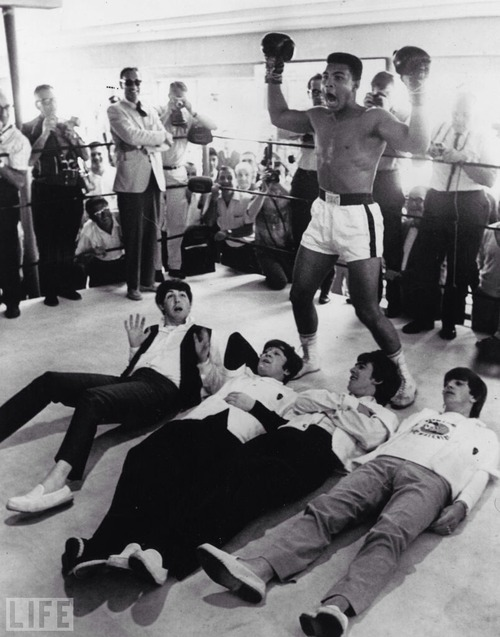 The Beatles meet Muhammad Ali in 5th Street Gym, Miami Beach during their tour of America. 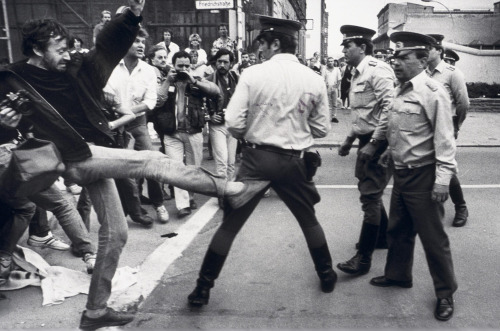 A photographer in West Berlin kicks a policeman standing across the border marked by a white line in East Berlin during demonstrations at Checkpoint Charlie - August 13, 1986. 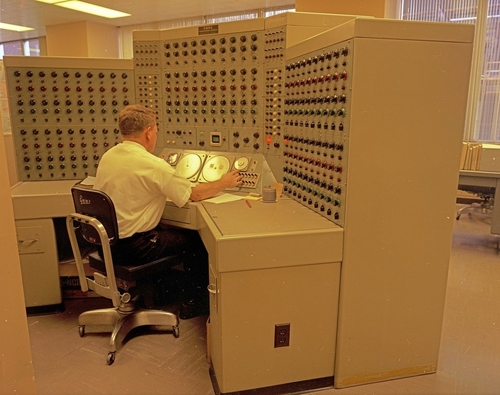 "Man working at analog computer," 1968. 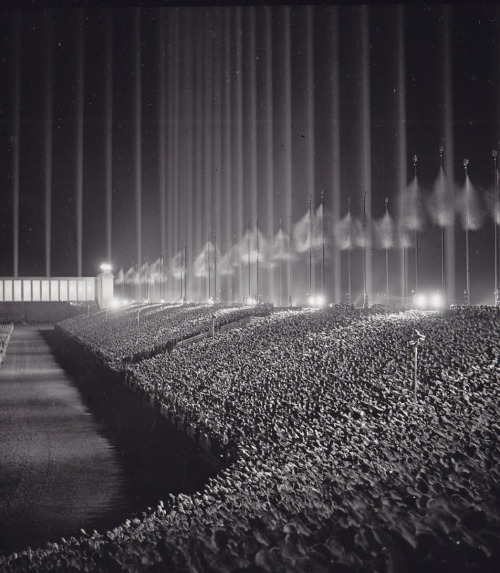 Cathedral of Light during the Nuremberg Rallies of 1937. 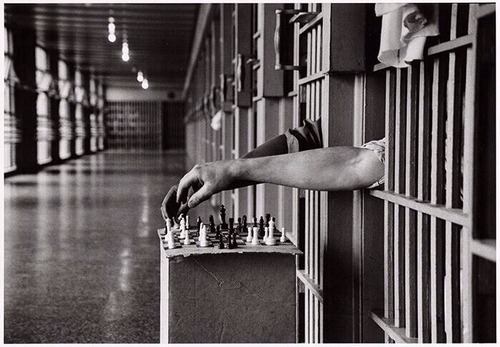 Inmates playing chess from their prison cells, by Cornell Capa, 1972. 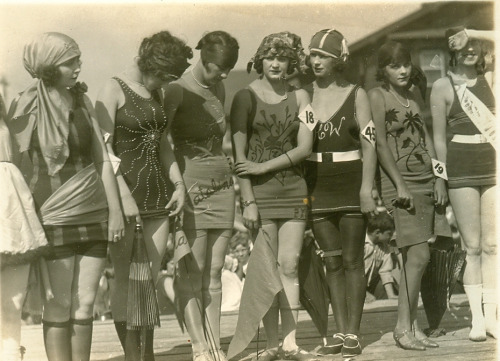 Beauty Pageant in the flapper style - Circa, 1920s. 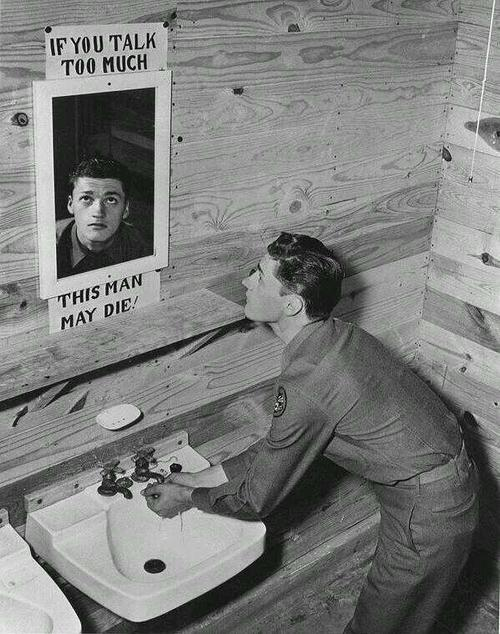 Encouragement of not spreading sensitive information during WWII - Camp Hood, Texas 1943. 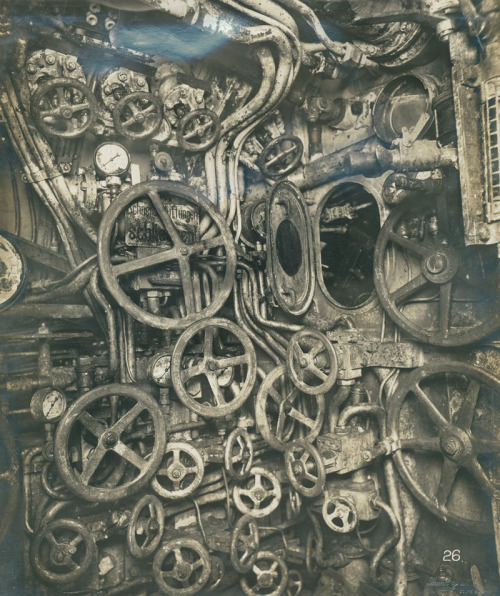 The complex pressure valve system seen within the control room of the UB-110 German submarine, 1918. 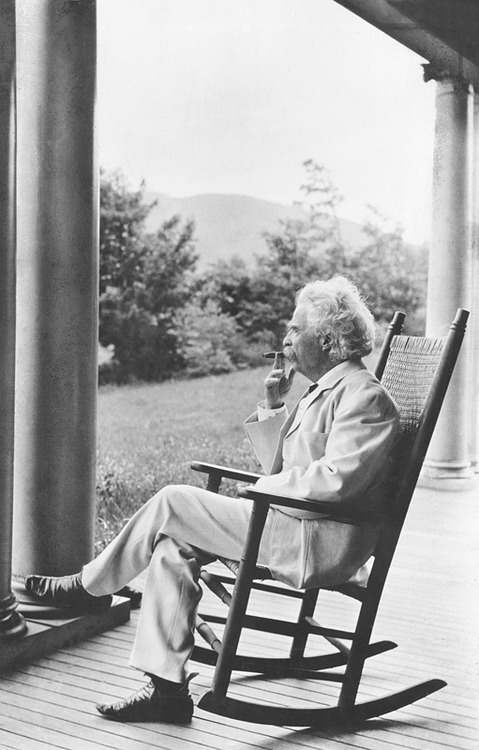 Mark Twain smoking a cigar and relaxing on the porch, 1905. 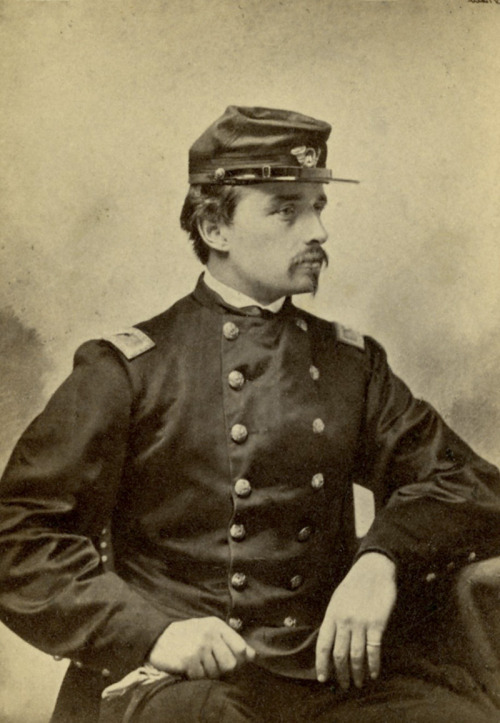 Colonel Robert Gould Shaw, commander of the first all-black regiment, 54th Massachusetts, killed leading his men at the Second Battle of Fort Wagner at the age of 25, photo by John Adams Whipple - 1863. 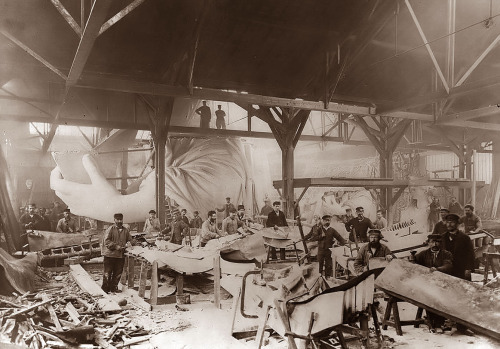 The Statue of Liberty under construction in Paris, Circa - 1880. 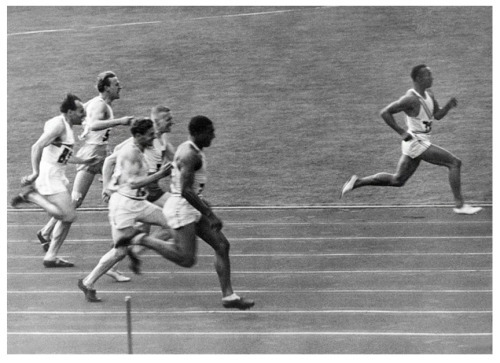 American track and field athlete, Jesse Owens, wins the 100 meter dash at the 1936 Summer Olympics in Berlin, Germany. 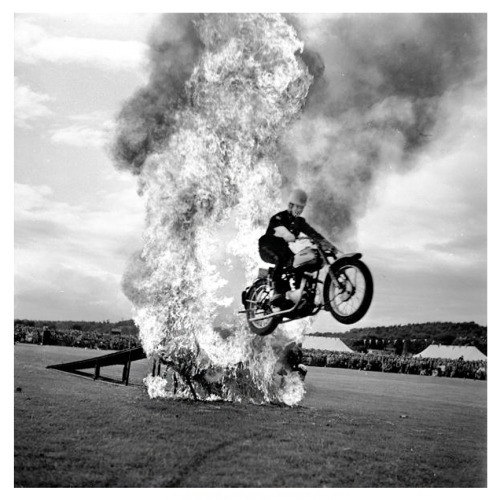 A member of the Royal Signals demonstrating a leap through fire on a motorcycle during a display at the Strathallan Highland Games at Bridge of Allan in Stirlingshire. 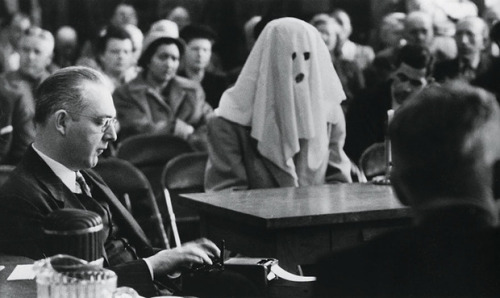 August 8, 1951 - Photo: Chris Ware/Keystone/Getty. 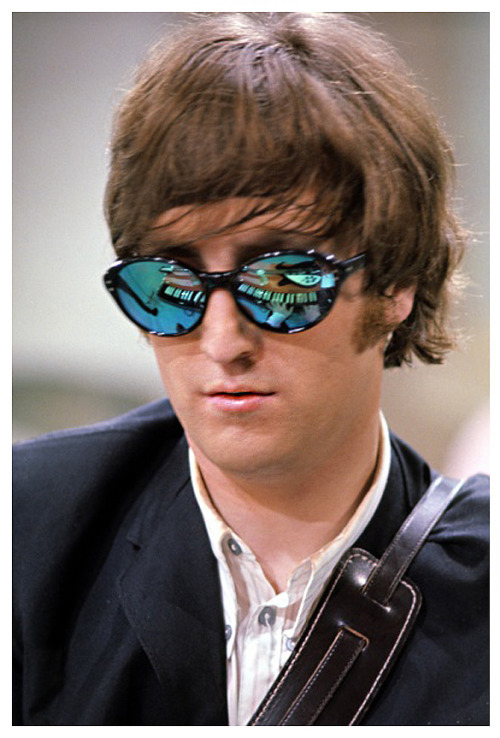 John Lennon - August, 1965 / Photo by Robert Whitaker.